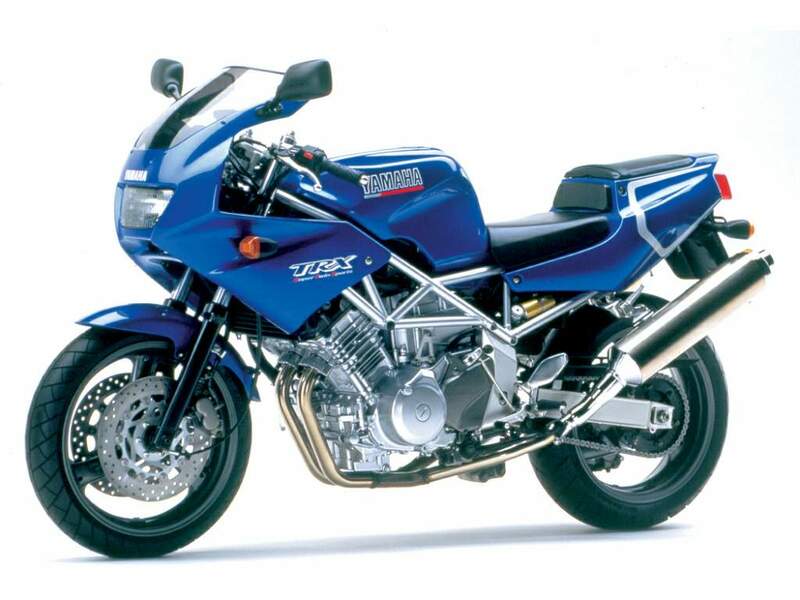 Seen by some as Ducati 900SS clone, the Yamaha TRX850 was a machine which couldn’t find its way back in the 1990s. Has time been kind to the Trixie? 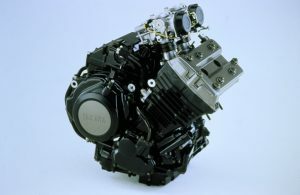 Basically, it was from the 849cc motor 360-degree-crank TDM850. The TRX was coded ‘Project 005’ and the team decided to put in a 270-degree crank, which replicated the thump of a 90-degree V-angle twin. Yamaha had plenty of experience of this layout thanks to its works Super Tenere racers. Stephane Peterhansel and Edi Orioli used a 270-degree crank in their YZE850 machines to win the Dakar in 1992, 1993, 1995, 1996, 1997 and 1998. Impressive eh? What were the differences between the TDM and TRX motor? Was the TRX really a Ducati copy? Maybe if you squinted or left your contacts out! 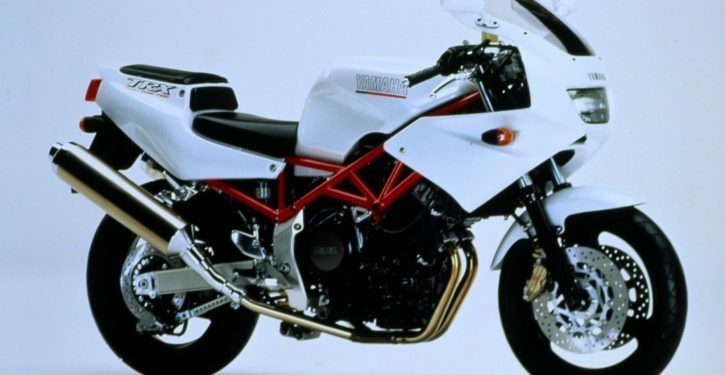 At the time (mid-1990s) a section of the bike-buying public loved the Ducati SS series of machines. They were different, simpler, soulful and have character a-plenty. And the things were improving rapidly when it came to reliability. Yamaha already had a parallel twin motor knocking around – so why not use that? 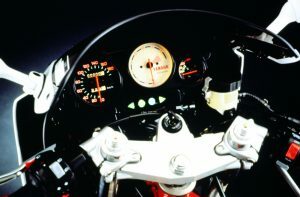 When it came to the frame Yamaha made a ‘trellis-a-like’ frame rather than use their signature Deltabox, which made people draw the ‘Ducati copy’ conclusions. Also, the first TRX850s had cool Brembo brakes, normally only seen on something pricey and/or Italian. Wow! Should have been a popular machine then? You’d think so. Some journalists were invited to ride the bike in Europe so Yamaha could gauge their reaction and look at importing the machine officially if they liked it. The feedback was a resounding ‘YES’ they liked it, but that’s when the issues began… Initially an RRP of £5630 was rumoured, while UK importers Mitsui Yamaha were confident that it would undercut their middleweight sportsbike the FZR600R which in 1995 cost £6299. Unfortunately when it finally came to the UK officially in January 1996, the TRX cost £6999. This new version also lost the Brembo brakes and the plain colours (white with red frame, red with white frame) that aped the Ducati 900SS. So it was dumbed-down AND too expensive? Well, perhaps it’s fair to say that it just missed the boat? From the 1999 model year-on, prices had fallen to £5699 and they stayed there until the last versions were sold in 2000/2001. We at CB-NET heard that some left showrooms for around £4K which made the bike a bargain for the time! 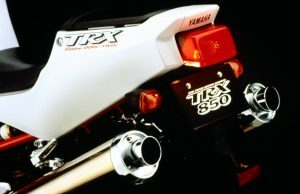 The price crash was partially due to the parallel importing of machines in the 1990s and then by 1997/1998 the FireStorm and TL1000S came out with a ‘real’ V-twin motor and another 150cc. So it missed the boat early doors then realised it had too few cubes and the wrong layout of powerplant… But all is not lost for the TRX850! Against: Original image, neither one thing nor the other? Yamaha GTS1000A – Classic Bike Sin Bin!